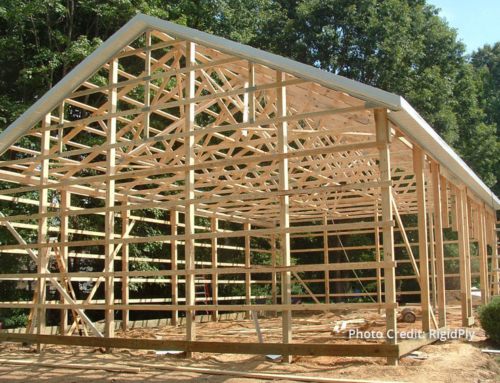 Whether you are building a pole barn or designing and installing a new custom deck for a customer, it bears repeating that the choice of which exterior wood finishes you use on a particular job or application is dependent on the type of wood being finished and the environment in which it is being used. Choosing the right finish for a particular application not only ensures your projects success, but it also translates into a happy customer and by extension future customer referrals. So here is a quick review of the major types of exterior finishes and considerations in choosing one over the other for a particular project. When it comes to straightforward exterior house painting, all-acrylic latex paints are the most durable paints out there, but that being said, oil-based paint coatings usually provide the best protection when considering water and water vapor. Although latex paints allow water to pass through more readily, oil based paints tend to adhere better when wood swells and shrinks due to the long term effects of summer and winter temperature shifts. High gloss paints almost always last longer than their low-gloss brethren because they contain less pigment and more resin. 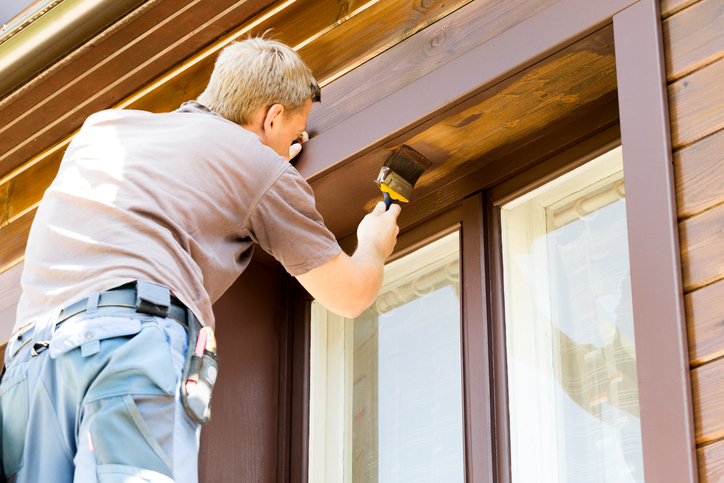 When compared to paint, solid color stains perform better on rough-sawn lumber or textured exterior wood. They can also be applied over the top of existing paints. Semi-transparent oil or alkyd-based stains won’t trap moisture in the wood, therefore these types of stains won’t peel or blister. They also allow the natural wood grain to show through. When staining a deck or other outdoor living structure, it pays to keep in mind the long term effects of mold and ultraviolet radiation. The best solvent-borne penetrating stains contain UV radiation protection, as well as being formulated with fungicides and being naturally water repellent. While treated wood is modified to resist decay, it is still subject to the damaging weathering effects of moisture and sunlight. In order to minimize the effects of these elements, treated wood should receive a water repellant coating to prevent wood shrinkage, swelling and checking. 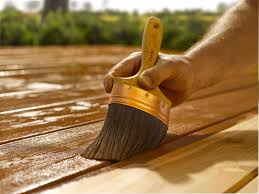 For new pressure treated lumber, an absorbing oil based stain such as Duckback Superdeck Stain is an excellent option for providing choice of color with excellent protection capabilities. This stain also allows the wood to breathe, preventing premature failure. Secor Lumber and Building Materials is one of the oldest and most trusted lumber and building supply companies in the Rochester, Wayne County and Finger Lakes region of Upstate New York. Founded in 1939, builders and contractors throughout Upstate New York have come to rely on us for our building and contractor support and expertise in building design and supply. We have build our reputation on quality products and unmatched service to our builders, contractors, commercial and agricultural customers. If you have any questions, we encourage you to contact a Secor commercial building supply specialist today.